I realized its been a while, I mean a WHILE, since I have done a Beauty Spotlight. So I decided to kick the series off again with one killer brand that I am loving right now. 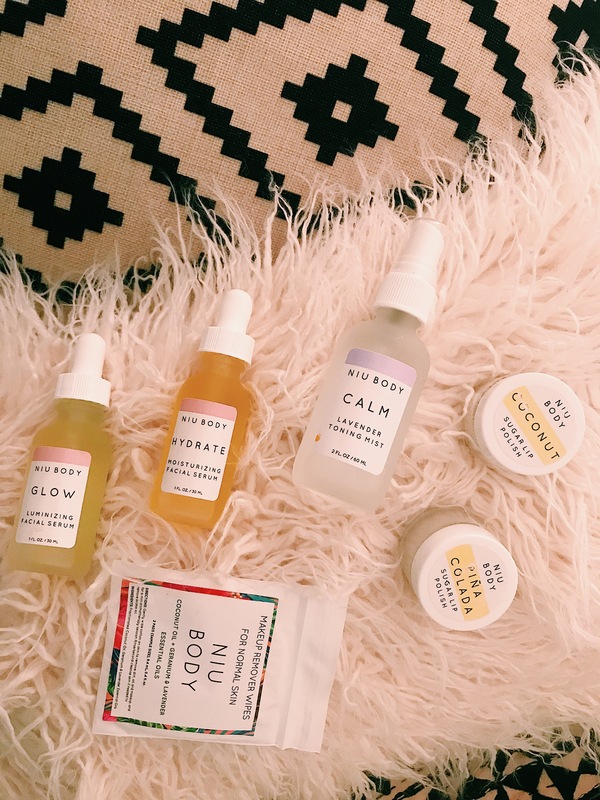 Niu Body is a 100% natural, vegan skincare line that uses the best and most raw ingredients in every product. I started using some of their key pieces this past month and have seen such a noticeable difference in my complexion. I am a big fan of make up remover wipes bouncing between Ponds and Alba as my prior go-to’s so I was skeptical about testing a new one. I have been using the Normal Skin Wipes and I am hooked. The wipes are unlike your typical make up remover wipe, they are cotton pads that have oils in them which activate when you use them – thus taking away the dirt and grime from your face. I love that it not only removes make up but leaves my skin feeling silky and moisturized. Also have been loving the way my skin has looked after using the Glow Facial Serum. I have really sensitive skin that is super dry at the same time – weird combo, I know. That makes it really tough for me when it comes to moisturizing. Thick creams help with the dryness but usually leads me to breakouts. This serum has been a nice alternative, leaving my skin glowy and nourished while still feeling light. If you are in need of a new face routine I would highly recommend looking into Niu Body!